I've noticed that I am unable to connect to Yahoo recently, and Wikipedia loads veeeerrrrrryyyyy slllllooooooowwwww if at all. Since these sites don't seem to be having problems themselves, I was wondering if there is problem on this end? Hmmm. 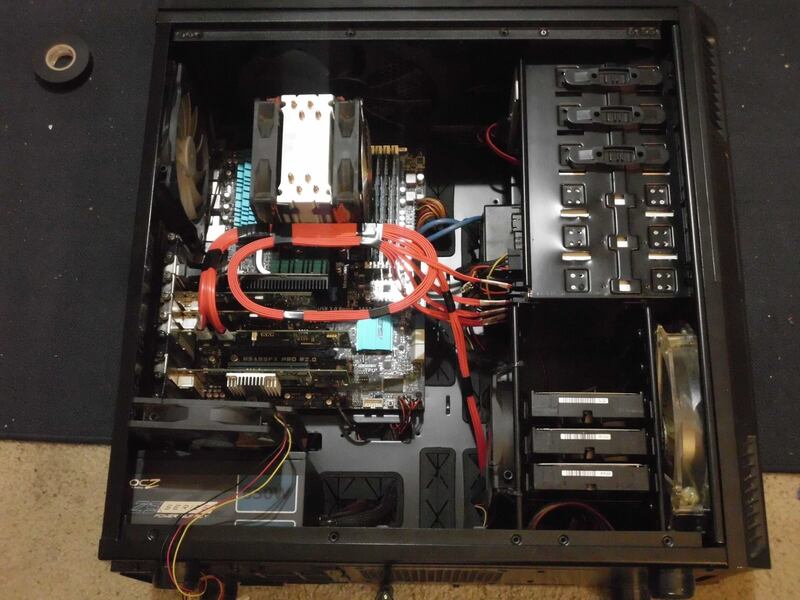 Will it work if you reboot everything? And by everything, I mean: Modem, router (if a separate one is used) and the device(s) you're using to go to these sites. It almost sounds like whatever DNS you're pointing to has a corrupt lookup entry (or entries). It's either that or you're somehow triggering a firewall somewhere, and that's not a usual occurrence. Have you tried disabling WAS to see if that helps any? Please follow the directions below to disable Web-Acceleration. 1: Visit http://192.168.0.1 in your web-browser. 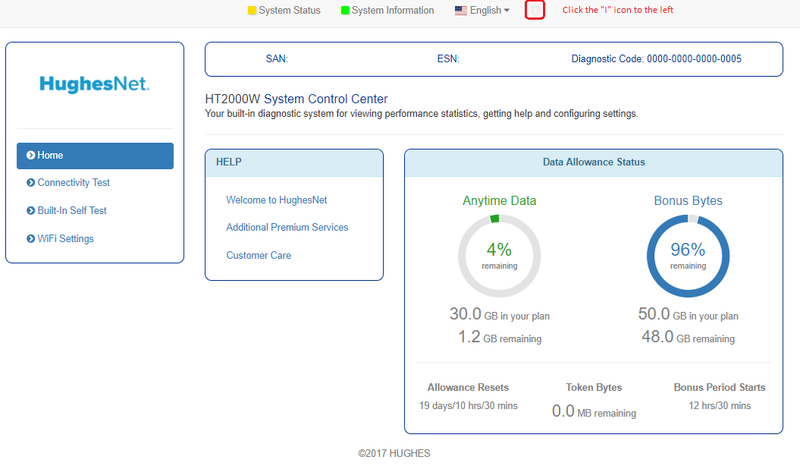 2: Click the "i" icon at the top of the HT1100/2000w System Control Center (also known as the SCC). It is highlighted in red in the image below. 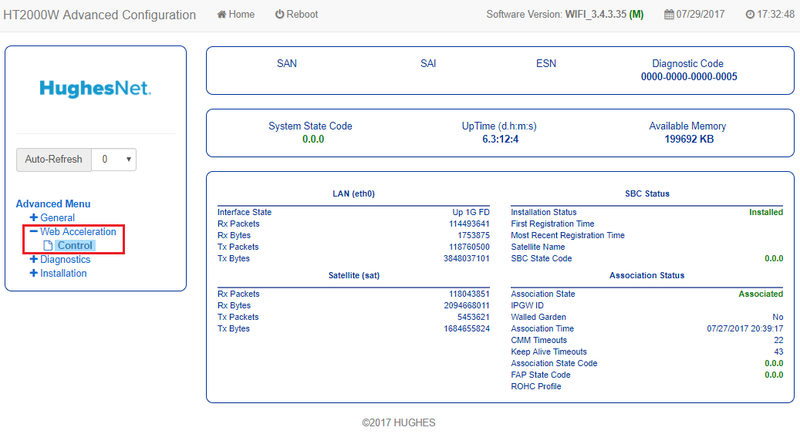 3: Click on "Web Acceleration" then "Control" outlined in red. 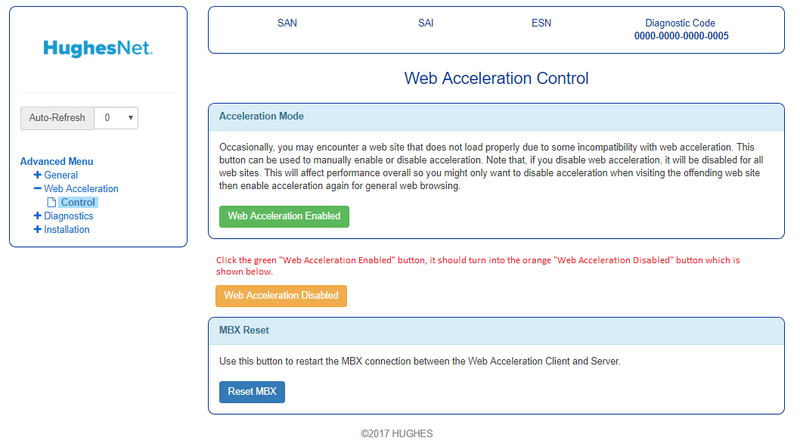 4: Click on "Web Acceleration Enabled", this will change to an orange button that says "Web Acceleration Disabled". 5: Restart your browser and try using the service that isn't working, please let us know how that works for you. Disabling Web Accelleration did not solve the problem. Fascinating. Do you have similar entry links for Yahoo and Wikipedia that you use that are also https:// or are they standard http://? Neither http nor https work. If after the link either fails or refuses to finish (basically sits continually waiting for a response from a server), have you tried a hard-refresh? Yes. No different results. Continues to hang/no response. Interestingly, if I use a proxy, I can connect. Though the proxy I use strips down a lot of the site for privacy reasons. Rebooting the modem solved the problem. Outstanding. I love it when things work.